From May 1st to 5th I was honoured to take part as a speaker in agideas, the international design week. The staff and volunteers were terrific, calm, professional and enthusiastic. A great help if you're about to speak to a few thousand people. In fact, by the time it came to head out on stage, I was so at ease that time slipped away and I settled in for a much longer chat than time allowed. Some highlights: the inaugural Next program workshop, where primary school students from around Victoria were encouraged to design things to make their lives better; Per Mollerup's concise (as simple as possible but no more) and hilariously entertaining presentation, Stephen Dupont's passion and commitment to documenting important moments in history, and the audible gasp in the room when fellow illustrator Stuart McLachlan presented his intricate and often epic in scale paper sculpture artworks. There's many, many more moments that informed and inspired, and I'll write a bit more about it in an upcoming issue of Illustrators Australia Outline Magazine. I'm grateful to have been a part of it and special thanks to Eleni Kaponis from agideas and volunteer Caitlin Heimeier for shepherding me through. 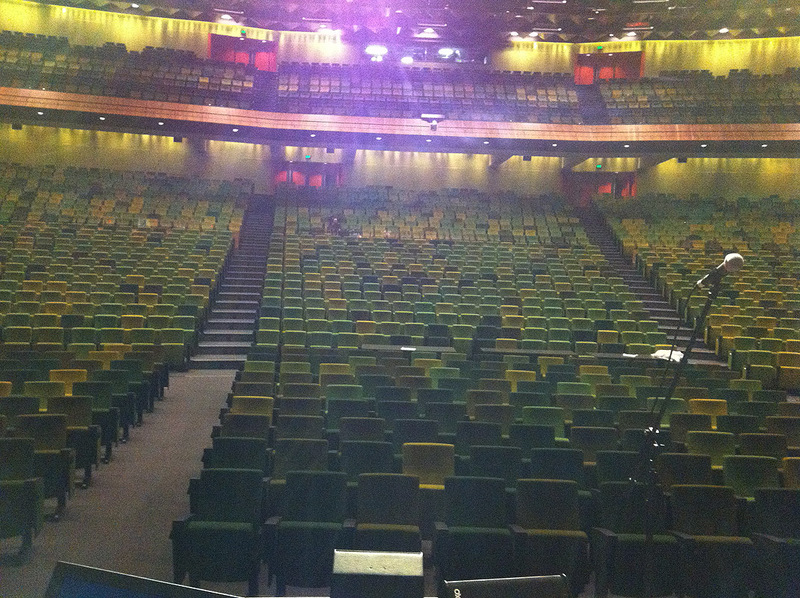 Pictured above: a big, empty, not at all scary room at rehearsal the night before speaking.